This Hornady Superformance .308 Winchester (7.62x51) ammunition features 178 grain Hornady Match bullets. With a highly accurate boat tail hollow point design, these proprietary projectiles are made with AMP (Advanced Manufacturing Process) jackets which lays the foundation for phenomenal accuracy. 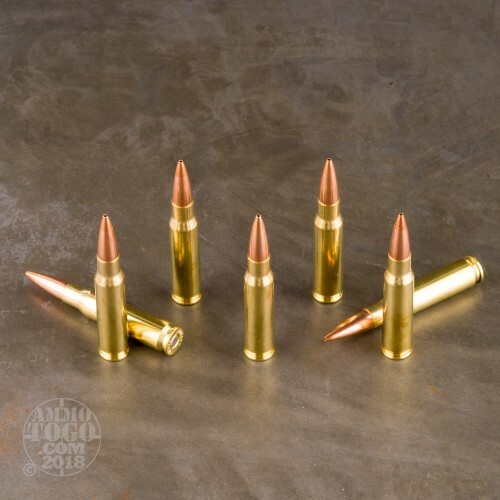 With near zero variation in jacket wall thickness and a precision swaged core, these match grade bullets offer high ballistic coefficients, proven consistency, and unrivaled accuracy. These bullets also feature a sleek geometric profile that effectively lessens in-flight drag to deliver flatter trajectories. With a secant ogive shape, Hornady Match bullets taper gradually to provide the optimum bearing surface for flight stability. The result is one of the most accurate projectiles available to the modern shooter. This package contains 20 rounds of factory fresh ammunition. 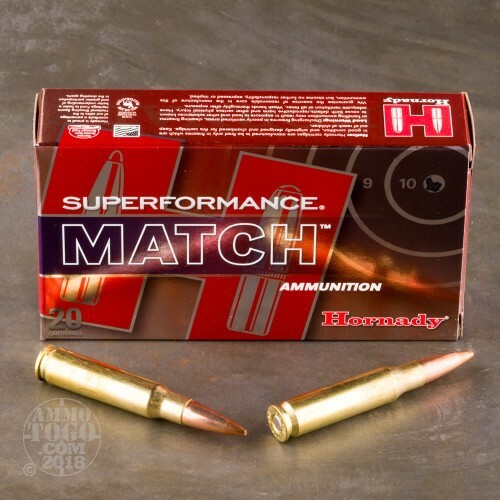 Leaving the muzzle at a velocity of 2775 feet per second with 3043 foot pounds of energy, these rounds are ideal for range training and match competition, although they can also be used for big game hunting. 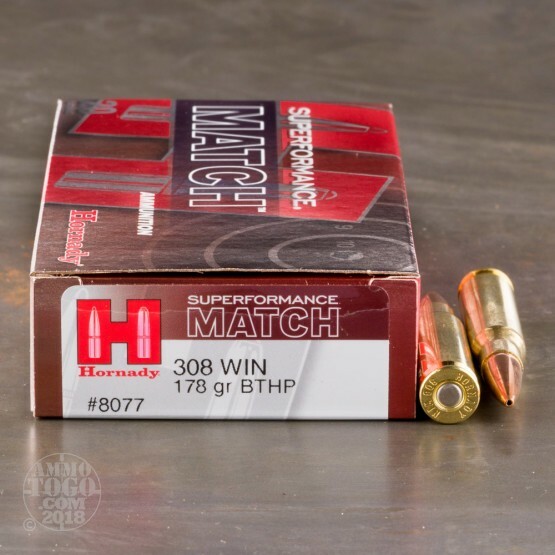 Hornady Superformance uses stable propellants custom blended for each load. 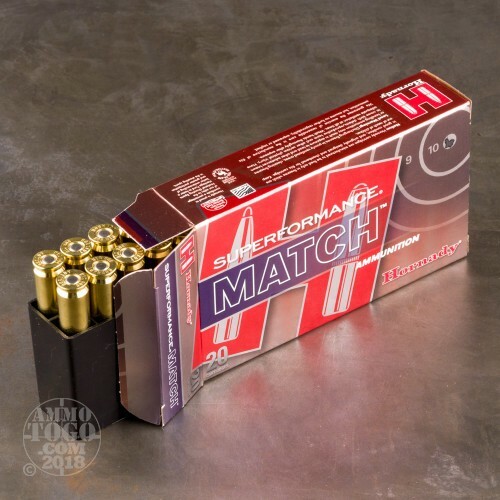 This ammunition is non-corrosive and boxer primed in reloadable brass cases.